Once a month fellow gardener Gail from clay and limestone invites us to share the wildflowers we have in our gardens. I was really scratching my head to find something to share today! I have a tub where I collect the tags of the plants I have planted and yesterday I was investigating them all looking for some Australian plants. In the end I did find something to share and it has inspired me to plant some more Australian wildflowers. 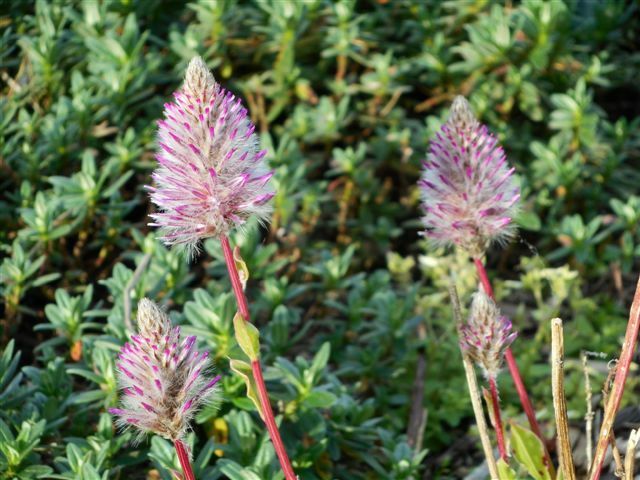 Ptilotus exaltatus also pink mulla mulla or joey has a unique pink flower which looks like a fluffy foxes tail. 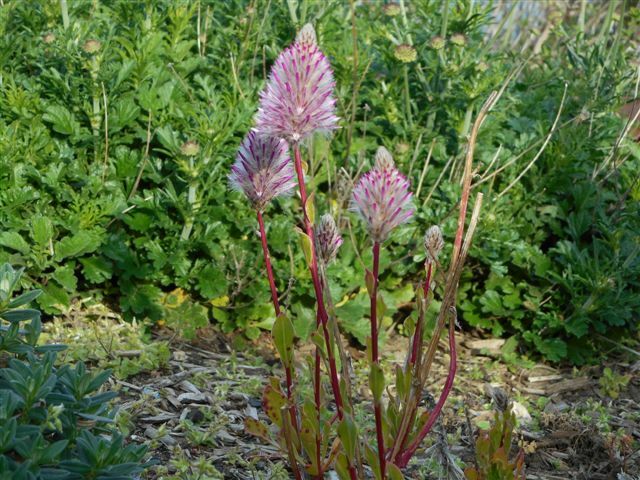 I think it looks like a plant you would expect to see in dry conditions, the flower heads sit upon single stems with a few leathery dark green leaves at the base of the plant. It is a small shrub growing to 20 – 30cm tall, it is widespread from the North-West coast into the Northern Territory, which are some of our driest parts of Australia. I saw this plant for the first time last year at a big nursery I think they were a new nursery release last summer and were selling for about $15. I can remember eyeing them off every time I went to the nursery but thought they were too expensive, I was very lucky to receive one for a birthday present from a dear friend which is why I can share it with you today. I think it is a plant that looks better planted in a group which I think I will do, the seeds are available from Australian seed, in fact they have a great range of native seeds with all the required germination information. 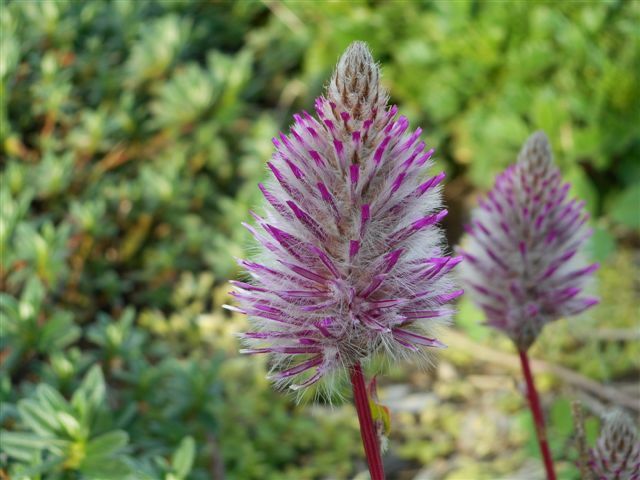 Do you grow wildflowers/natives in your garden?